Peter Lorenz was born on 22 December 1922. In 1969 he became the chairman of Berlin’s Christian Democratic Union and, in 1975, his party’s candidate for mayor of West Berlin. As he was leaving his home in the Zehlendorf district of the city three days before the elections, his Mercedes was blocked by a lorry and then rammed by a Fiat. Lorenz’s driver, Werner Sowa, was beaten into unconsciousness and Lorenz bundled into another car by two armed men and a woman. They also said that former mayor Heinrich Albertz must be on the flight to guarantee their safety. Albertz agreed but only in his role as a Protestant pastor, and as a former politician. However, Gabriele Krocher-Tiedemann and Horst Mahler refused to leave prison. Helmut Schmidt, the German chancellor, intensified the hunt for the kidnappers and offered £18,000 for their capture. No arrests were made and after three days the six were freed and flown to Aden, South Yemen. On 4 March Albertz and the aeroplane crew returned to Frankfurt from Aden, having released Pohle, Becker, Heissler, Siepmann and Krocher-Tiedemann (who had a change of heart and made the trip after all). 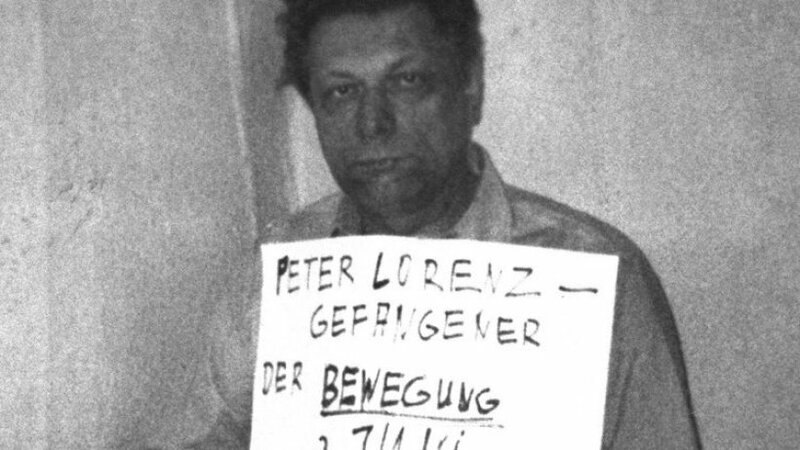 Just before midnight on 4 March a car raced through Berlin’s Wilmersdorf district stopping briefly to throw a blindfolded Lorenz from the back seat. He was given a 50 pfennig coin to call home and he rang his wife to say that he was safe. Although Lorenz won a plurality of the votes, Klaus Schatz, relying on a coalition of Social Democrats and Free Democrats, remained mayor. From 1982 to 1987 Lorenz was a parliamentary under-secretary of state in the federal government. He died on 6 December 1987.